Texas A&M University - The Rogers Co.
Texas A&M exhibited in a 20x20 booth at SXSW and also exhibited on two floors of the Hotel Van Zandt. 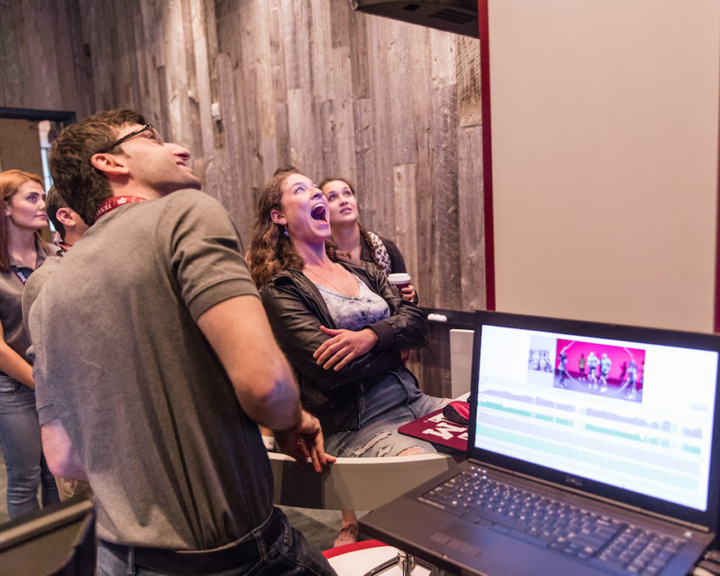 Texas A&M University occupied two floors at Hotel Van Zandt as well as a 20×20 exhibit at SXSW. 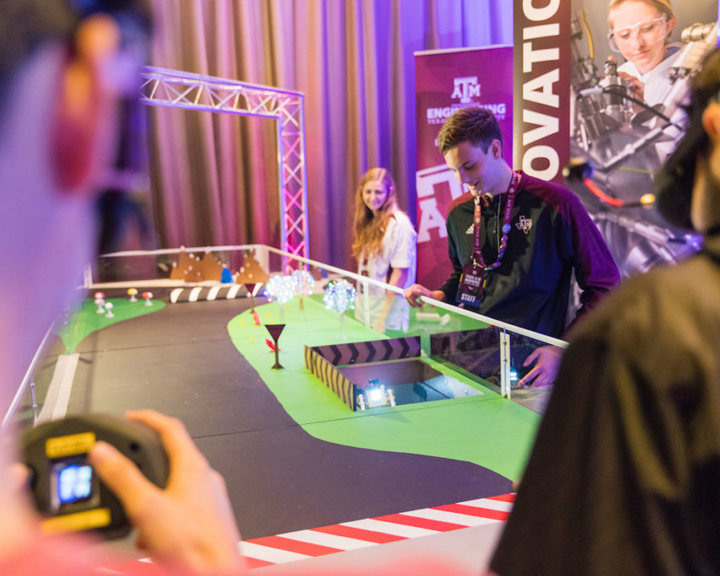 Rogers showcased Texas A&M various education departments with live presentations using large projection screens, theatrical lighting, and sound. Rogers also provided technology to support virtual reality, multi-touch screens and live streaming. The main monitor in the booth live streamed what was happening in the Hotel Van Zandt. It also showed videos from alumni showing what they were up to in locations from all around the world.